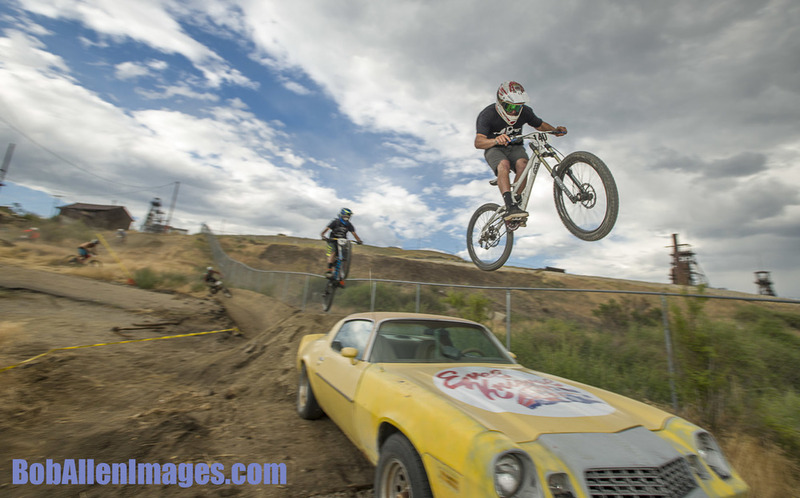 A racer rolls through the historic Con Mine in the Evel Urban Downhill in Butte America. Jed Donnelly rides a wheelie across a ladder bridge in The Con mine at the Evel Urban Downhill practice. John Faunce pre-rides the Evel Urban Downhill course through The Con mine's motor room.